In reference to the Certificate No. 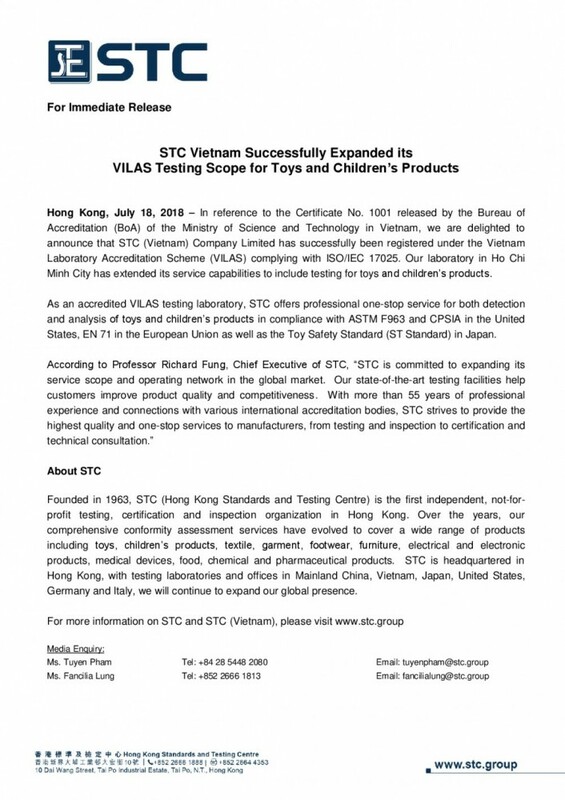 1001 released by the Bureau of Accreditation (BoA) of the Ministry of Science and Technology in Vietnam, we are delighted to announce that STC (Vietnam) Company Limited has successfully been registered under the Vietnam Laboratory Accreditation Scheme (VILAS) complying with ISO/IEC 17025. Our laboratory in Ho Chi Minh City has extended its service capabilities to include testing for toys and children’s products. As an accredited VILAS testing laboratory, STC offers professional one-stop service for both detection and analysis of toys and children’s products in compliance with ASTM F963 and CPSIA in the United States, EN 71 in the European Union as well as the Toy Safety Standard (ST Standard) in Japan. 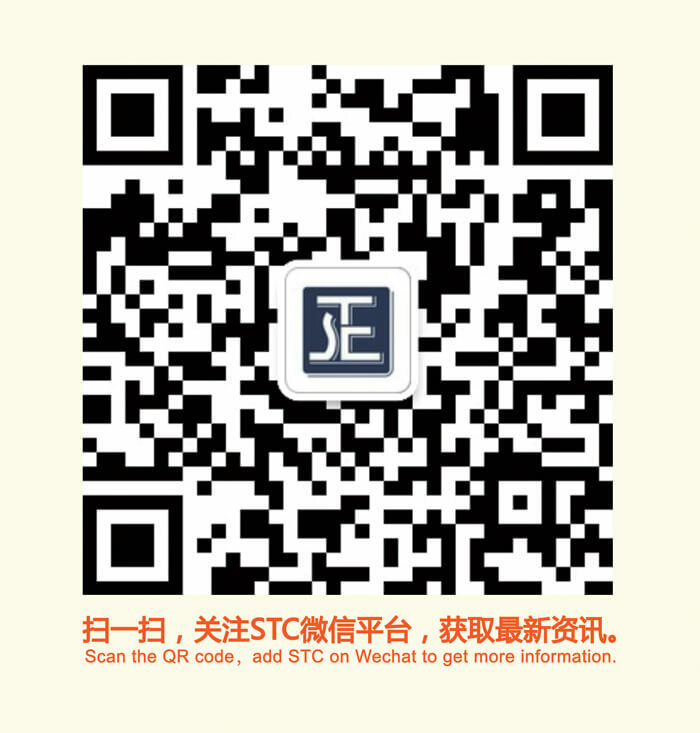 For more information on STC in Vietnam, please visit www.stc.group/vn or email us at vnstc@stc.group.